Our iterative design process makes it possible to test prototypes at an early stage of development. For this reason we equip our prototypes with sensors and electronics to collect data. 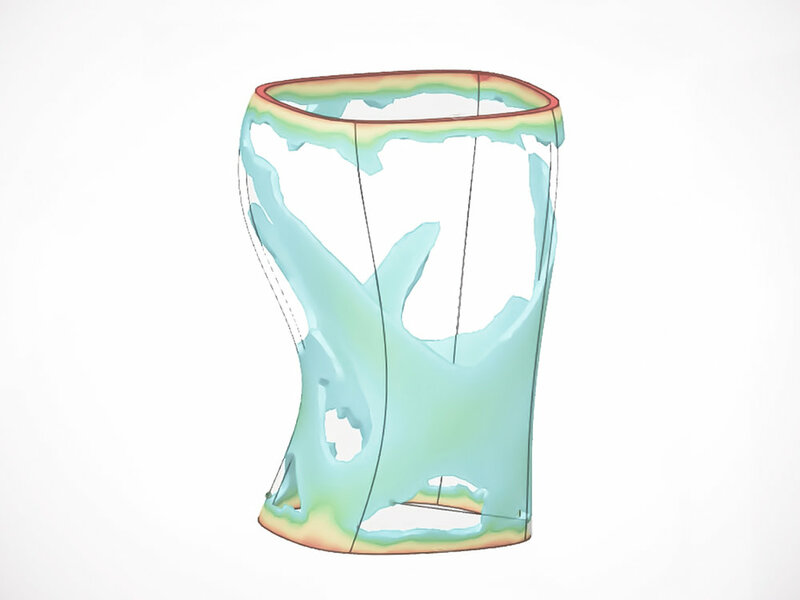 Software algorithms allow prototypes to be optimized for material resilience and weight minimization and hence create unexpected designs. We are in close contact with Autodesk and are currently using a state-of-the-art software - Generative Design. Newly acquired data from our test riders can be looped back into the design process so that the protector can redesign itself. The rotational spine protection (RSP)-System is focused on preventing unnatural movements based on biometric data and field tests with our adamsfour.-riders.